CEO Anne-Grete Ellingsen at GCE NODE opened Energy Outlook 2017 Tuesday. Energy Outlook is established as an important arena for the oil and gas industry. The conference is held in conjunction with Arendalsuka, an high-profiled political event which gathers Members of Parliament and business leaders from Norway and beyond. The conference is an excellent venue to promote your company. 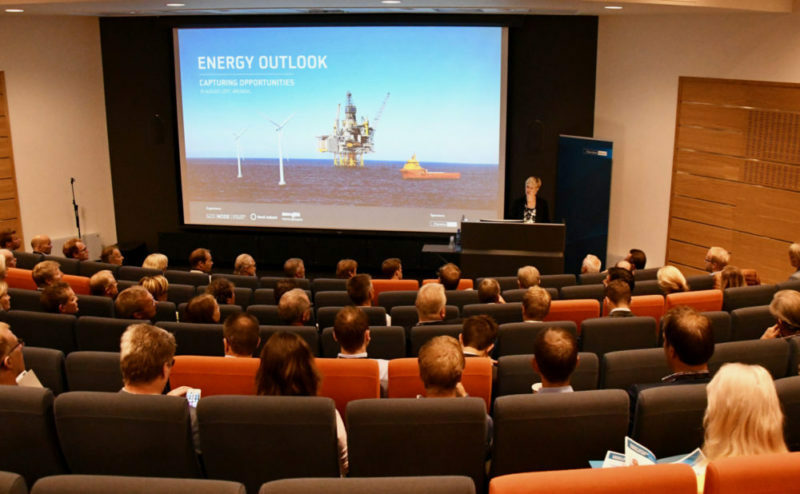 Energy Outlook is organized by GCE NODE, The Norwegian Oil & Gas Association and The Federation of Norwegian Industries.